Material Innovations, Inc. (MII) is a small business comprised of engineers and technicians with extensive background in materials testing, advanced composite materials design, and mechanical engineering. Testing services are provided for detailed characterization of advanced materials such as composites, ceramics, metals, and refractory materials. Testing capability emphasizes thermal measurements, mechanical measurements, environmental conditioning and characterization, and hard vacuum testing for space applications. Engineering services focus on research & development to meet requirements in advanced mission systems; particularly in electronic packaging, spacecraft and aircraft applications. Mechanical assembly and machine design is also a specialty for new products that are production ready for industry markets. 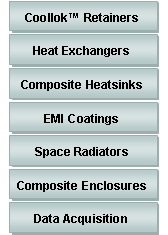 Many composite product solutions involve the management and control of thermal expansion (CTE), composite joining techniques, finishing (plating, anodizing, specialty coatings), as well as identification of cost reduction methods. MII’s services engineering services are provided to the U.S. government and commercial industry. 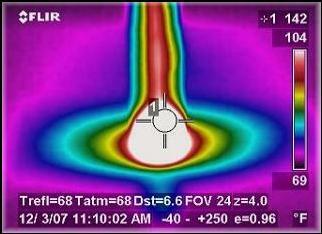 Thermal Management for systems engineering is an MII forte’. Unique solutions utilizing high thermal conductivity graphite fibers and conductive preforms are significant to MII’s product portfolio and are used in high end electronics packaging systems. Mission critical space systems have benefited from MII’s technology base. 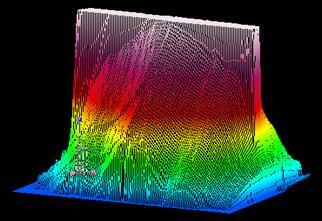 MII has the largest known database on high thermal conductivity composite materials. Manufacturing is carried out in-house for MII’s thermal products as well as for customer ‘build to print’ composites and hardware. These fabrication and production tasks are performed within our 12.000 square foot facility. Fabrication and machining of composites is our specialty. Our sister company ‘Abrasive Waterjet & CNC Inc.’ is co-located and provides the composites, ceramics, and tooling machining services. Precision waterjet machining is unique to the manufacturing industry and is complimentary to MII’s technical product manufacturing. 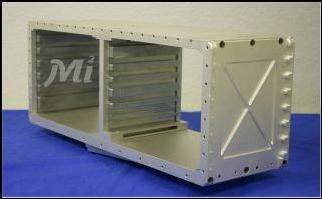 Note: The MII facility is MIL-I-45208A and AS9003 qualified for testing and manufacturing.